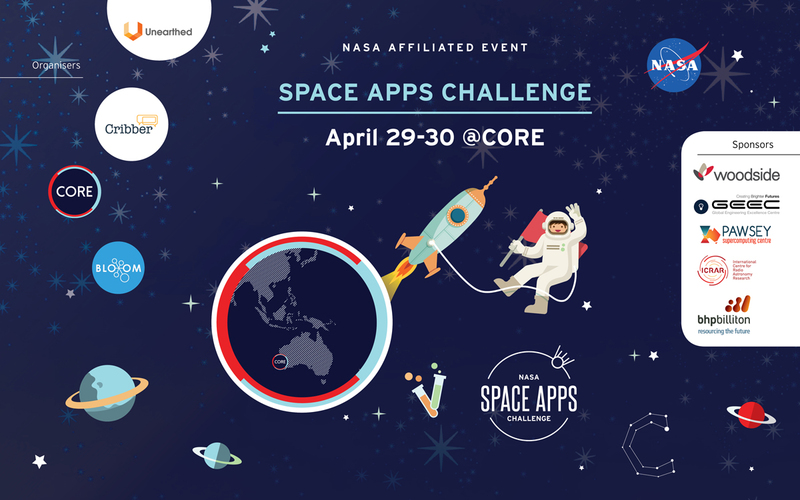 The International Space Apps Challenge is NASA’s incubator innovation program to spur innovation by convening global citizens around NASA’s open data to solve mission-relevant and earth challenges. Global citizens work with open data and APIs to solve challenges within categories designed to support NASA’s ongoing missions. As a result, participants produce thousands of projects making open source solutions with immediate value to NASA and the global community. The event draws on the talents and initiative of bright minded volunteers – developers, designers, engineers, technologists and anyone with a passion and desire to make an immediate impact on the world or with an interest in earth, space and data. The event is supported by Woodside, The Pawsey Supercomputing Centre, ICRAR and BHP Billiton.